On July 4, 1823, Padre José Altamira founded this northernmost of California's Franciscan missions, the only one established under independent Mexico. In 1834, secularization orders were carried out by Military Commandant Mariano G. Vallejo. San Francisco Solano became a parish church serving the Pueblo and Sonoma Valley until sold in 1881. This plaque replaces one originally dedicated by the Historic Landmarks Committee, Native Sons of the Golden West, 1926. Plaque placed by the California State Park Commission in cooperation with the Sonoma Parlor No. III, Native Sons of the Golden West, July 14, 1963. 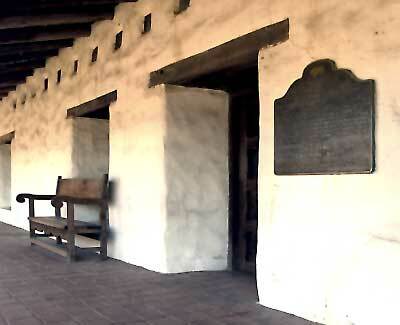 Mission San Francisco Solano contributes to the Sonama Plaza Historic District National Register Listing #75000489.